When I borrow things belongs somebody, I always turn over in my mind about its worth compares the owner with me. To make a living is to improve belongings by buying or trading things. And everybody strongly attaches to the things being given or left with his friends or family. 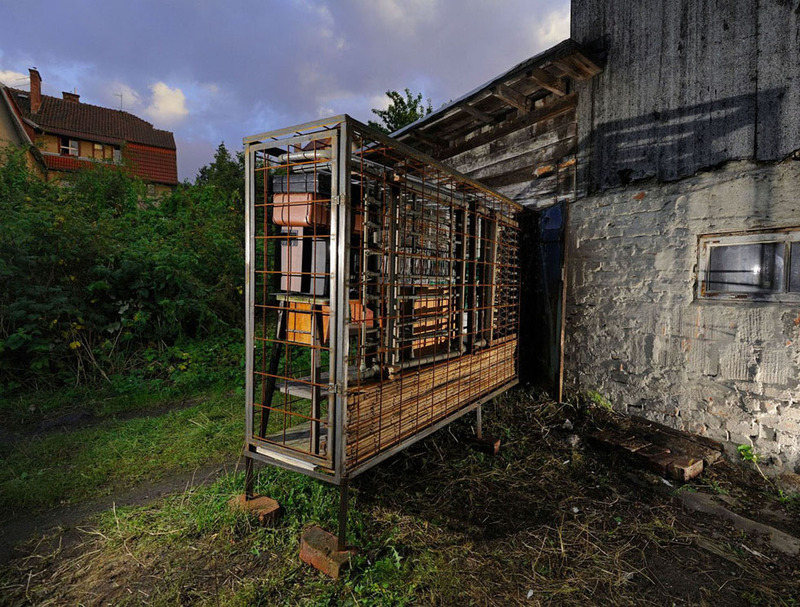 The work was created in cooperation with an owner of a dovecote in Poland. He lived in a house with his family next the shed for a long time. After they moved to another place, he has still kept his belongings include a useless TV, a broken bed or replaced the windows in the dovecote. 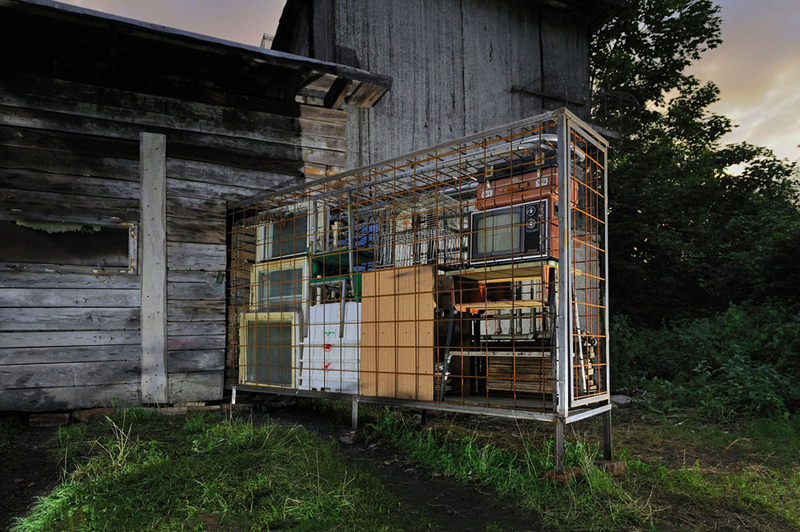 By installing a kind of steel cage which has same elevation measurement of the dovecote’s door and filling the inside space of the cage by his belongings, the dovecote poured his personal attachment out into the outside.